Situated in in the award-winning Rosewood Hotel, Prohibition is a throwback to the age of decadence, glamour and prosperity. The 3,000-square-foot bar invites guests to travel back in time to the roaring twenties. The lighting design focussed on creating an intimate, period-appropriate, sophisticated ambiance that uses contemporary, energy-efficient technologies. Natural warm lighting is achieved from decorative lamps, complemented by lensed luminaires, which add soft illumination and provide a subtle contrast for the darker finishes. 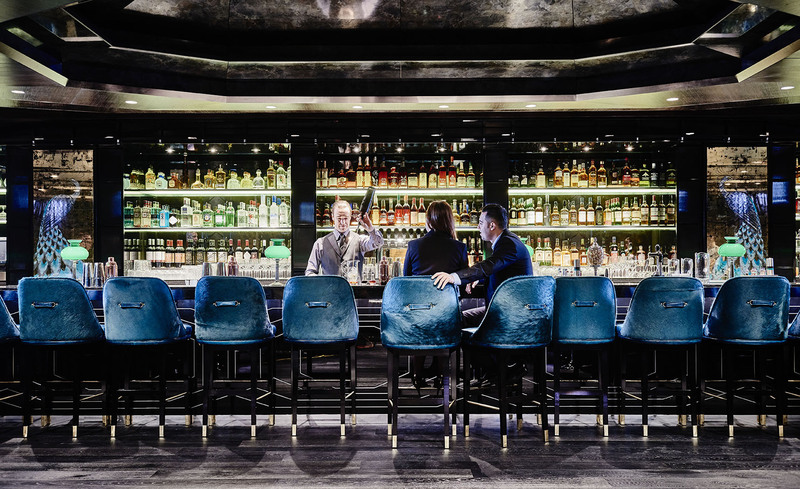 Lighting under the seating and bar rail creates a soft glow on the floor, while high-colour-rendering LED luminaires bring out the colour and sheen of textured fabrics and finishes.